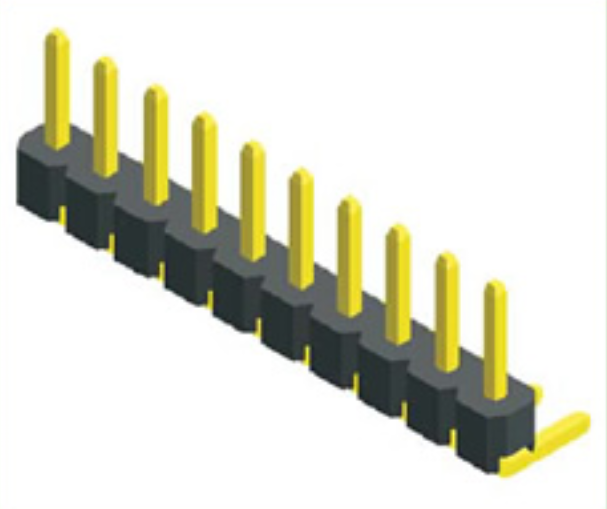 Shenzhen Antenk Electronics Co., Ltd. recommended a 2.00mm pitch Pin Header Single Row Angle Type connector. Connector Environmental Performance Common environmental properties include temperature resistance, moisture resistance, salt spray resistance, vibration and shock. 1. Temperature resistance The maximum operating temperature of the connector is 200 °C (except for a few high temperature special connectors), and the minimum temperature is -65 °C. Since the current generates heat at the contact point when the connector is in operation, resulting in a temperature rise, it is generally considered that the operating temperature should be equal to the sum of the ambient temperature and the junction temperature rise. In some specifications, the maximum temperature rise allowed by the connector at rated operating current is specified. 2. Intrusion of moisture-resistant moisture can affect the insulation performance of the joint h and corrode metal parts. Constant damp heat test conditions are relative humidity of 90% to 95% (up to 98% according to product specifications), temperature +40 ± 20 ° C, test time according to product regulations, at least 96 hours. The alternating heat and humidity test is more stringent. 3. Salt spray resistance When working in an environment containing moisture and salt, the metal structural parts and the surface treatment layer of the contact parts may cause galvanic corrosion and affect the physical and electrical properties of the connector. In order to evaluate the ability of electrical connectors to withstand this environment, a salt spray test is specified. It suspends the connector in a temperature-controlled test chamber and sprays it with compressed air at a specified concentration of sodium chloride solution to form a salt spray atmosphere. The exposure time is specified by the product specification for at least 48 hours. 4. Vibration and shock Resistance to vibration and shock is an important performance of electrical connectors. It is especially important in special applications such as aerospace and aerospace, railway and road transportation. It is to verify the robustness of electrical connectors and reliable electrical contact. An important indicator of sexuality. There are clear regulations in the relevant test methods. Peak acceleration, duration, and shock pulse waveforms, as well as the time of electrical continuity interruption, should be specified in the impact test. 5. Other environmental performance According to the use requirements, other environmental properties of the electrical connector are also sealed (air leakage, liquid pressure), liquid impregnation (resistance to specific liquids), low air pressure, and the like. 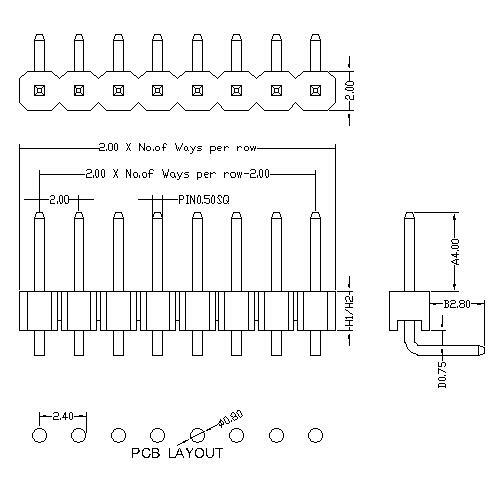 Looking for ideal 2.00mm Pin Header Connectors Manufacturer & supplier ? We have a wide selection at great prices to help you get creative. All the 2.00 Mm Pitch Connectors are quality guaranteed. We are China Origin Factory of Right Angle Type Connectors. If you have any question, please feel free to contact us.